Replacing the 30-year old minivan with something daring, heroic, even lion-hearted is no small task. The minivan gave us soccer moms, enabled the spread of bulk grocery stores and made antique hunting a piece of cake. It’s a tough act to follow. At the risk of retracing the minivan inspiration back to the beaches at Normandy, let’s visit some Jeeps. After all, they dubbed one the “wagoneer” decades back. 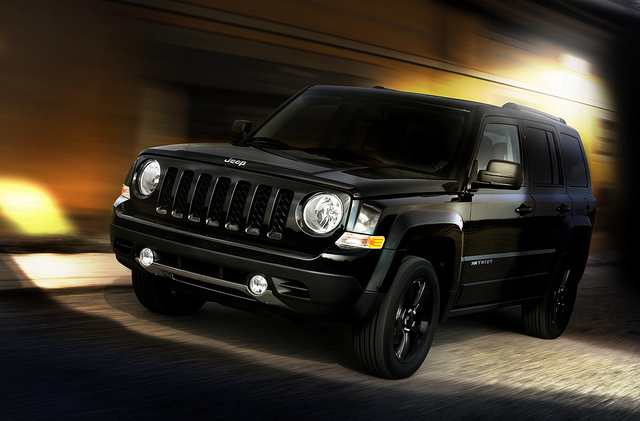 Jeep’s long tradition of family transportation is well documented, but if you want ballsy traction, ground clearance, vigorous maneuverability and stream fording abilities, the Jeep Patriot will bring it. Moreover, the Patriot does the chores that every minivan is expected to do: The seats hug the kids, LCD monitors entertain them and the toys are ensnared in a cargo space with the power of a Severus Snape spell. With an engaging engine and a five-speed manual transmission, it’s pretty swashbuckling candidate to replace the minivan.